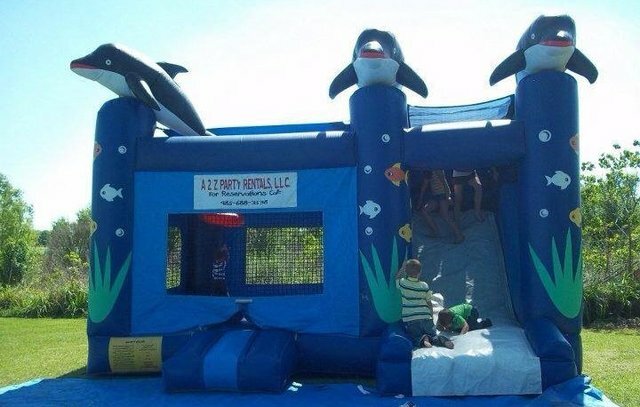 The 4 in 1 SeaWorld combo with a dry slide is a great choice if you can’t decide between a slide or a jumper. You can have the best of both underwater worlds. It includes a jumper, climber, slide, & a basketball hoop. Rent this 13’ x 18’ combo for $150.00 a day.